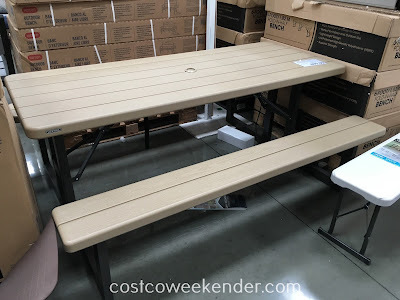 Have you ever been to someone's bbq or an outdoor party and there never seems to be enough seats for everyone to sit on? Don't get caught in that predicament the next time you throw a party. 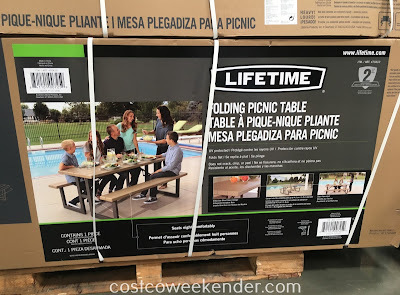 Make sure to have enough seating with the Lifetime Products Folding Picnic Table. 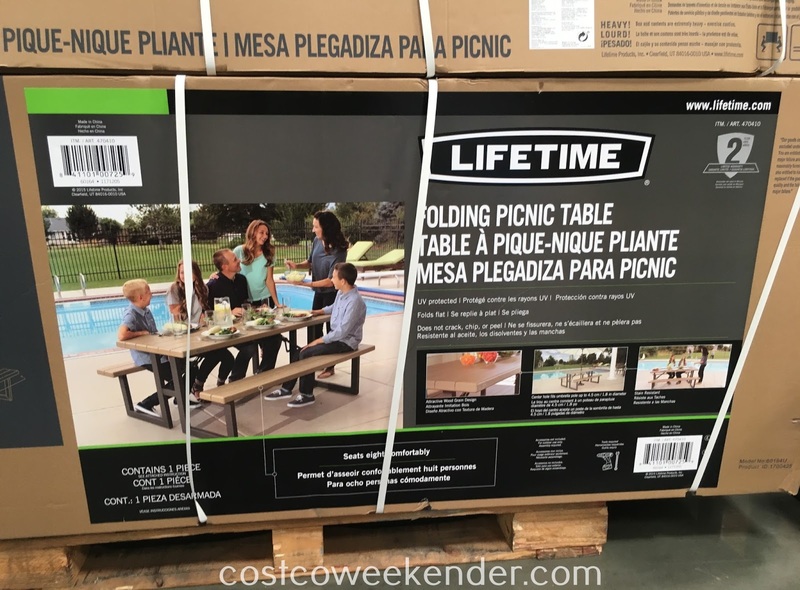 Similar to Lifetime's other products like the Lifetime Commercial Grade 6 ft Folding Table, that every Costco customer is familiar with, you know you're going to get a good quality product that will last a long time. It's easy to clean, so you don't have to worry about making a mess or having it outdoors where it can be susceptible to the elements. It comfortably seats 8 which is more than enough for most families, but you can buy more if you like hosting bigger events. It easily folds up so that you can put it away when not in use. This is great for families...no need for fancy patio furniture that can cost up to $1000. 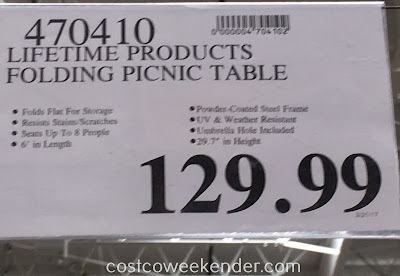 Just get the Lifetime Products Folding Picnic Table from Costco and you'll have enough seating for most occassions.